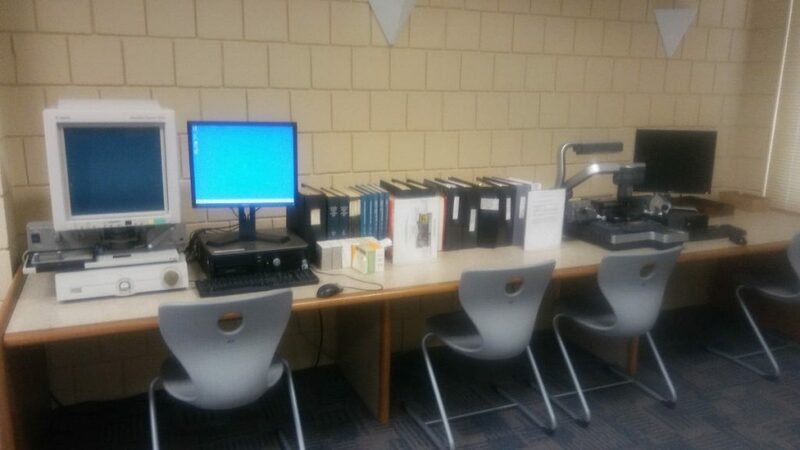 When I sat down at the microfilm reader at Cumberland County Library Local & State History where I would look for the obituary of Clarence Adam Chick (1896-1966), I had no idea what I would find. I imagined I would find a brief recollection that he existed, not an article of some of his most significant achievements. 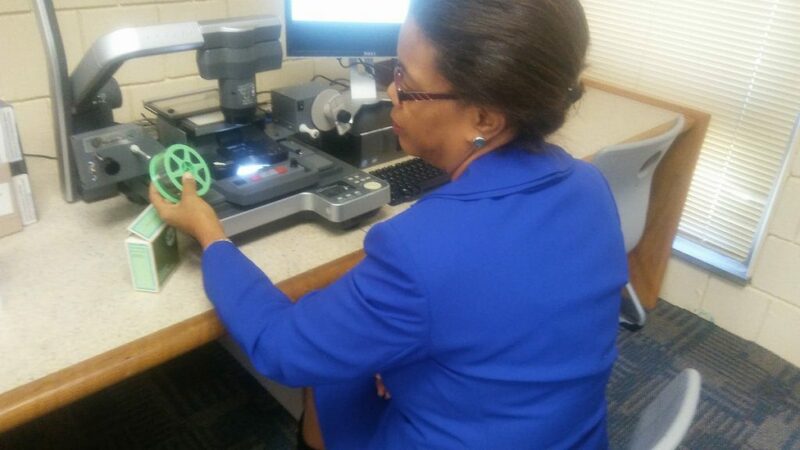 I had to go back yesterday to load the microfilm and get the date the article was published. I am a professional. I know how important a citation is, so the fact that I keep forgetting shows you how blown away this experience has been for me. For those of you who have not gone to the place where the person you are researching lived, I have made a promise to myself to do it for as many of my relatives I can. You can only get so far with online research. With Clarence, I have walked through only a portion of his life. I will return as often as I can to learn more and gather more. He talks to me here. He is helping me find the places and the people. I know this because I have not wasted time anywhere I have gone. I have gathered something from each place. I am catching up to where he was in life. I feel like he is with me now to point out what I should do and where I should go in telling his own story and in where I should be in life. After reloading the film and getting the date of publication, I looked over the article again. The actual article would not come out legibly printing it. It was so faded. The best thing I could do was to take a picture wlth my camera. I thought it would be good to include the whole page because he is on the front page of the paper, right in the middle of the page. That should tell you something about his life, all of which I cannot reveal in a single article. 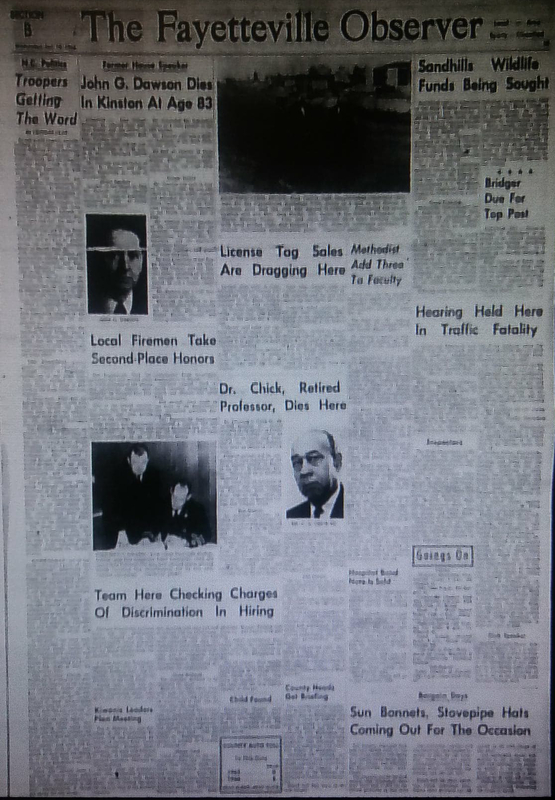 In 1966, an African American son of formerly enslaved parents dies, and he is in the middle of the front page. His life was devoted to service. 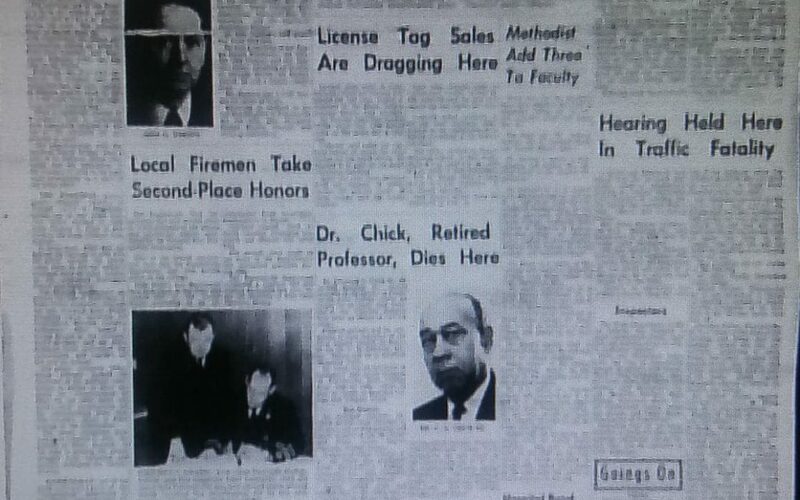 Finding Dr. Clarence Adam Chick’s notice of death on the front page in 1966 spoke volumes to me about his life. I know you probably cannot make much out besides his photo and the title of the article, but I included a snapshot of the entire page unedited. “Dr. Chick, Retired Professor, Dies Here.” This was the first reference to him as having a doctorate. I will need to delve further to find were we earned the achievement. A retired professor dying in Fayetteville. He could have been laid to rest in Whitmire, Newberry, South Carolina alongside his parents and siblings and other family members, but he chose to be laid to rest at Rockfish Memorial Park in Fayetteville. 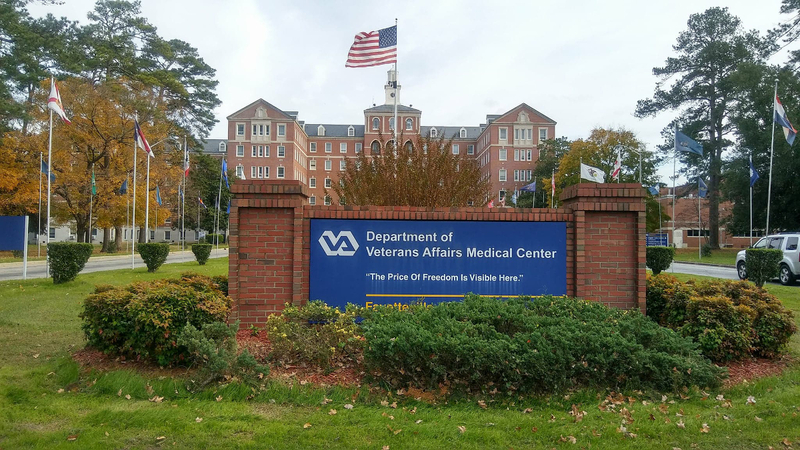 He taught at Fayetteville State College for 24 years and died at the Veterans Hospital. 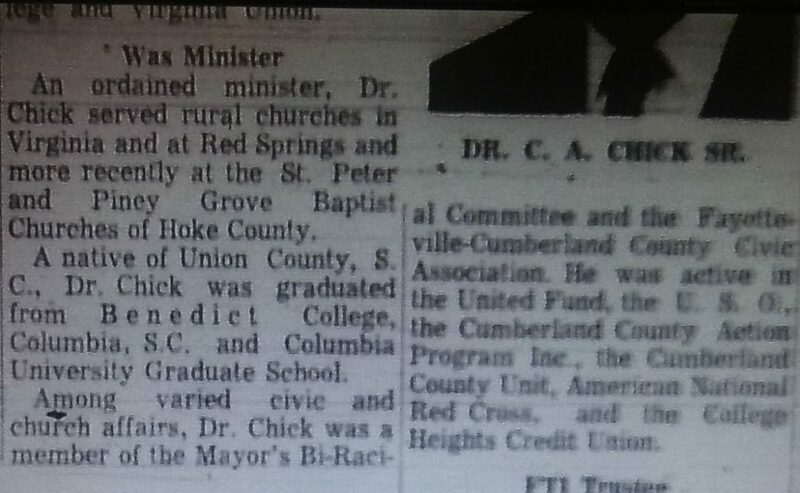 Funeral services were held at First Baptist Church by Dr. C. R. Edwards, pastor. First Baptist Church was the church he and his wife, Helen, attended. 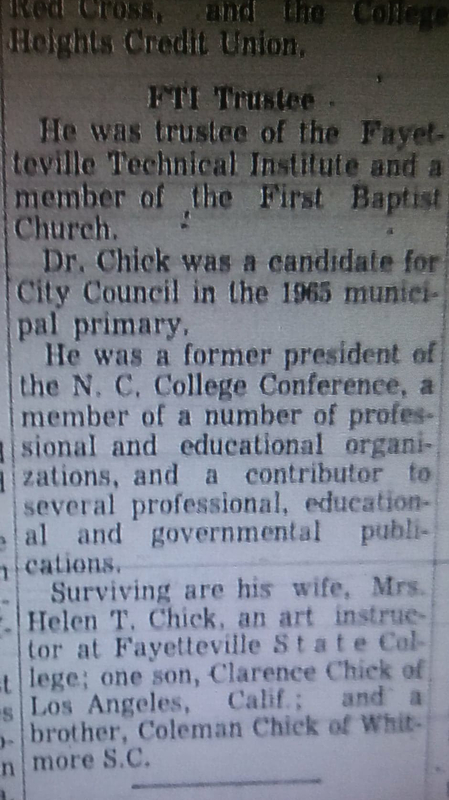 Clarence was an ordained minister servicing Virginia, Red Springs, St. Peter and Piney Grove Baptist Churches of Hoke County. 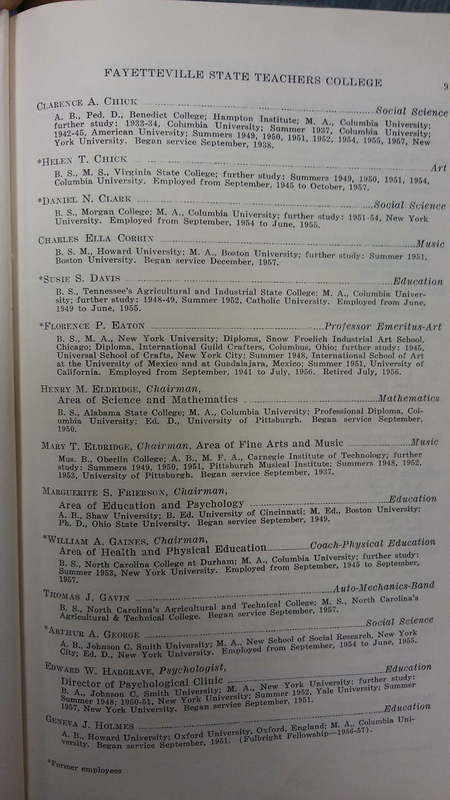 His education was somewhat more complete in the Fayetteville State Teacher’s College Accreditation Book held at Fayetteville State College. He was member of several educational and professional organizations, and a contributor to a number of professional, educational, and governmental publications. All of which I need to seek out, to document him. As you can see, this obituary gave me several places to search for, and document, Clarence. Helen lived until 1997. 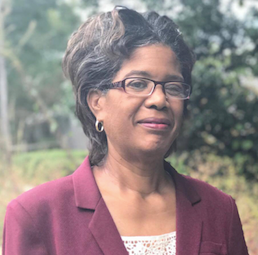 She was an art instructor at Fayetteville State College, and very active in the community. Clarence had one son, Clarence A. Chick, of Los Angeles, California. Both Helen and Clarence Jr. are buried near Clarence in a family plot in Rockfish Memorial Park. I found the Fayetteville VA Medical Center where Clarence died after being ill for three weeks. 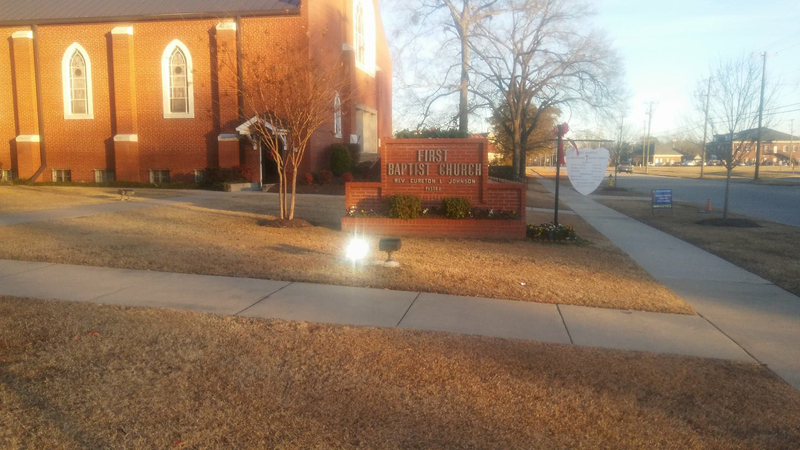 It is on Ramsey very near Fayetteville State College and where his home was on 1875 Broadell Dr.
Next, I was so excited to find First Baptist Church on Monroe very near Cumberland County Library. We went to take photos, and also found staff there who was excited to show us the sanctuary where they would be hosting Watch Night. We were elated. We had been looking for a Watch Night celebration. How appropriate to spend it with them where the Chick’s would be. Watch Night was an historic celebration for enslaved people 31 December 1862. They gathered wherever they were that night to watch for 1 January 1863. On 1 January 1863, they would be allowed to fight for freedom. The Emancipation Proclamation gave them the ability to do just that. First Baptist Church on Moore St. This is where I will leave off. I will give a recap of Watch Night next week and more on Dr. Clarence Adam Chick. Try to find an obituary for a loved one. How many different places does it give you to document your person? What types of places does it mention? Let us know out on the Facebook Group.